It has become trendy to accompany mid-week Hallel prayers, such as on Rosh Chodesh or Chol Hamoed, with musical instruments and dancing. 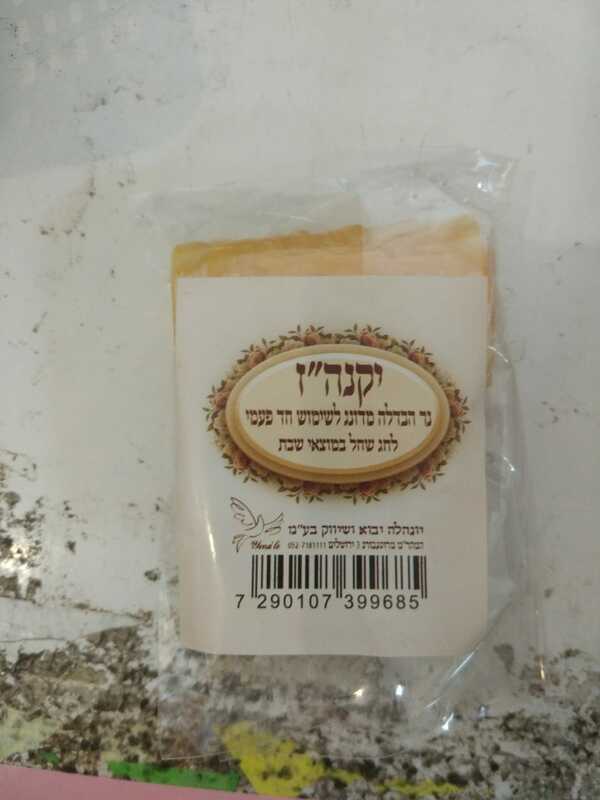 Rav Yehoshua Van Dyke, rav of Ramat Magshimim and rosh yeshiva in Itamar, has issued a psak that it is prohibited and inappropriate to play guitar, or other music, during Hallel. According to Rav Van Dyke, this goes against the tradition, generations strong, of not having musical accompaniment in shul. Some rabbonim, such as Rav Yaakov Ariel, allowed music and dancing, but only after davening concluded. Rav Van Dyke clarifies that he is not concerned that bringing music in makes it appear similar to either the Reform or even Christians. Rather, it is based on the psak of the Chasam Sofer that music is prohibited in shul out of a sense of mourning for the destruction of the Temple. 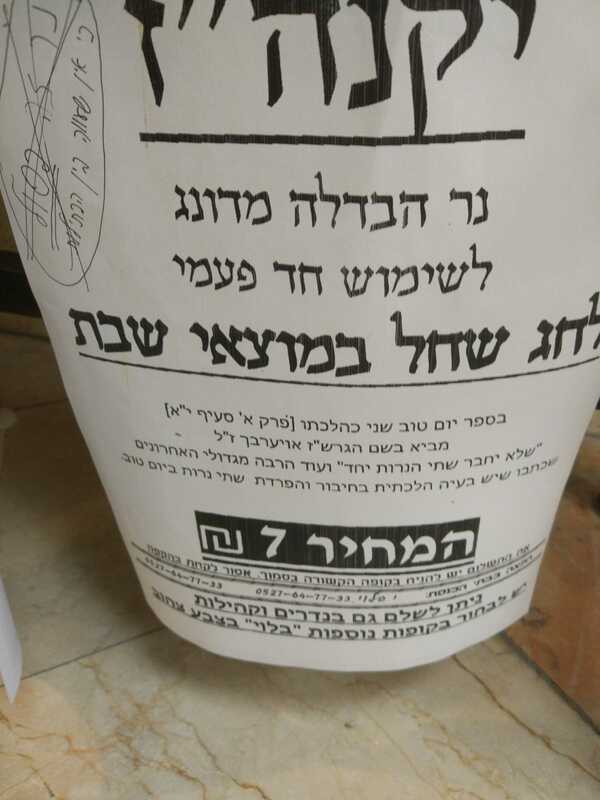 In addition, piskei halacha from Rav Chaim Falaji and from Rav Soloveitchik prohibited music in shul as a breach in the seriousness expected and appropriate for prayer. Rav Eyal Yakobovitz, Rosh Yeshiva in Tzfat, disagrees with Rav Van Dyke and says that singing and dancing with music in shul is not out of forgetting the destruction but out of pining for the rebuilding of the mikdash. Singing and dancing and music accompanying hallel arouses fervor and inspiration. Rav Yakobovitz points to a number of communities throughout history that did so. I remember when the various Haredi reps immediately discounted the idea of splitting the city of Bet Shemesh when there was a movement to do so. It seems that right now Minister Aryeh Deri is fighting to split Tel Zion off of Kochav Yaakov and make it its own independent Haredi township. He is currently upset at Netanyahu for opposing this plan. I dont know if splitting Bet Shemesh is a good idea or not, or even if it is realistically possible, but why is it not even worthy of a discussion whereas by Tel Zion it is necessary for Deri? What happened to the explanation that we prefer to combine different towns and share services between them rather than to divide towns and duplicate services provided? Is it just a matter of what would provide more Haredi jobs - i.e., turning Tel Zion into its own independent Haredi town/village would create a number of Haredi jobs with a mayor or head of yishuv and a small council and anything else such a town needs. Splitting a city like Bet Shemesh would not add many Haredi jobs because Haredim already control much of the leading positions in the city so splitting it would keep many Haredi positions and possibly add a few more to replace secular-held positions of people who went on the other side of the split but would provide many secular-dati held positions in the division? In light of the recent tefillin incident in the airport in Israel in which a lady (turned out to be a professor of multi-cultural society studies) berated a Chabadnik for helping someone lay tefillin and also acted extremely childlishly and the overwhelming support offered by the public, both frum and not, for the Chabadnik as being in a public space and having the right to do what he did without bothering anybody, there is still what to consider. A post in The Times of Israel blogs raised an interesting issue that should cause us all to take pause for a moment and consider our actions and responses. The post compared our reactions, the reactions of most people being the same, to this incident in which we all told her that it is a public space and she should mind her own business and they have just as much a right to be there and do their thing as she, and between our reactions to the fairly regular incidents at the Kotel of women, led by Women of the Wall, putting on tefillin and reading from the Torah and the reaction of Haredi people nearby and the reactions of people around the world who see the images. When confronted with the Chabadnik putting tefillin on someone we said he is in a public space and has the right to do so, with a willing partner, and they should be left alone. Why is it that so many of us do not say the same thing regarding the Women of the Wall at the Kotel? They are putting on tefillin in a public space, everyone else should mind their own business - whether you like what they are doing or not/ Scream at them and whistle at them to disturb and harass them? What makes you, or us, any better than this childish professor in the airport? I am open to hearing reasoned explanations as to what the differences are, as to why we can support the Chabadnik's rights but not the rights of Women of the Wall. Dear friends, About 12 years ago a member of my community at the Riverdale Jewish Center gave me a challenge. He asked me to improvise a melody on the spot every Friday night to the words "Tzaddik Katamar" in the Mizmor Shir prayer of Kabbalat Shabbat. For close to 3 months almost every Friday night I would try to think of something new and whatever came out of my mouth I put to that passage of prayer. The following melody stuck!!.... and for many years now since then I have sung this on a regular basis. I even recorded the melody to other words on previous solo album but I really wanted to revisit it with the original words. Im very blessed to have children that can sing so beautifully and meaningfully and as my twin boys have grown up, it is especially uplifting for me that they join me at the Ammud every time i sing it. We thought it would be a nice idea to create a music video to try to spread the song across the world. Here is .... Tzaddik Katamar. another small item about Chabadnikim, tefillin and airports..
Once I was with Natan Sharansky in a European airport. Early on Sunday morning we flew to a conference of Jewish students from across the continent. The local Chabad rabbi accompanied us. In the airport he pulled out tefillin and offered them to Sharansky to lay. I got upset about this. How does he know if the minister had put on tefillin or not? (I did not know and it would have never occurred to me to ask. A persons relationship with the Creator is in the realm of the intimate and private, in my opinion). I mumbled some angry words in the ear of the minister, that maybe he should also offer me to lay tefillin, and I might be very happy to! You should know that when nobody else was in Russia, when we were there in the big prison, completely disconnected from the rest of the Jewish nation, when nobody else dared to try to communicate with us, not Israel, not the USA, Chabad was there. With mesirut nefesh and putting themselves in grave danger. So, always, anything a Chabadnik asks of me, I will do. There is something strange going on with tefillin nowadays. There was Neta Barziliai's hairstyle and Eurovision, with the Eretz Nehederet skit spoofing her hairstyle on "Naftali Bennett" using tefillin boxes. Then there was the professor of culture in the airport harassing a Chabadnik helping someone put on tefillin. And let's not forget a short while ago a number of Chabad street booths being forced to close down for being unlicensed, until pressure was put on authorities to allow them to reopen. And now today an attendant on a line of the train systems in Israel told a Chabadnik to stop soliciting people to lay tefillin. When challenged, the attendant explained that he received complaints form passengers about him bothering people. I have seen the Chabadniks in action. They usually don't pester people. They ask briefly and move on. If someone says yes they stop and help them put on tefillin, and if someone says no they move on to the next person. That being said, if people really complained, maybe this specific person was using a more aggressive approach. If people really complained, it is the attendant's job to stop such behavior on the trains. I don't know what happened in the leadup to the incident so I cannot judge it one way or the other. All I can say is that something strange is going on. Maybe it is some divine plan to keep tefillin in the news and make people more familiar with it, keep people thinking about tefillin. Maybe we are meant to analyze our own relationship with our tefillin and the mitzva of donning them and check ourselves to see if we are doing it properly. I don't know what it is, but all these incidents are happening for a reason.. If [Netanyahu] puts up a candidate from the Likud for mayor of Jerusalem, only he, his wife and his two children will be voting for him..I want to mention that in the previous elections the Likud only received one mandate.. The pashkevil is published by a group calling themselves "The Sefardi Eida Hachareidis". They are basically the Satmar of the Sefardim. The pashkevil basically says it is prohibited to participate in elections in Israel - both national elections and municipal elections. I dont know anything about this group. A search online has just a few mentions from 2015 in which they also publicized extreme anti-government positions, but besides for that I don't see anything else about them. I'd like to know more, if any of you are familiar with them. What are their positions and beliefs? What do they do besides for putting out an anti-elections message once every few years? What issues do they get involved in? How many people do they represent? At worst they'll take away another handful of votes from Shas, but I don't see them being more influential than that..
Minister of Internal Security Gilad Erdan has made an executive decision that Hamas members in Israeli jails will not be allowed to watch the upcoming World Cup competition in jail. He is also looking into the legal options for changing the current rules in order to be able to prevent security prisoners from watching specific shows or channels. Erdan's goal is to increase the pressure on Hamas to release the bodies of Israeli soldiers (Hadar Goldin and Oron Shaul) they are holding in captivity, along with Avra Menegistu and Hisham A Sayid that were abducted by Hamas. I wait to see if watching a soccer game is so much more powerful than political and financial pressures and can get the job done where those could not. In general, if the reports as to what freedoms they have in jail are true, while it is still difficult to compare a prison stay to summer camp (as their freedoms are often described as such), they do seem to have too many freedoms in prison and making their stay a bit more difficult could make the threat of prison more of a real threat. 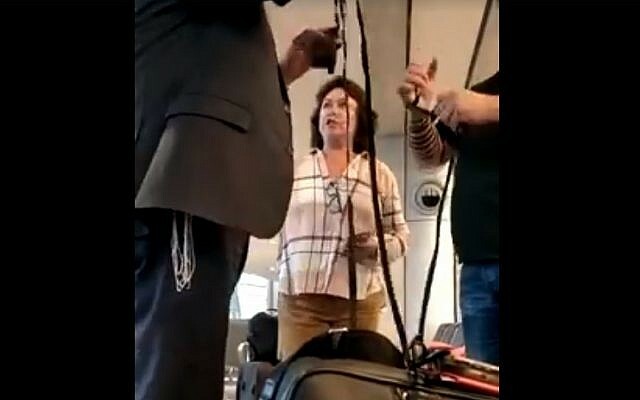 the following incident was videoed in Ben Gurion Airport - a Chabad fellow asked this fellow named Gad Kaufman if he would be willing to don tefillin. Kaufman agreed and they began the process. This woman created a scene, which Kaufman videoed. After he posted it to his Facebook page, it went viral. First of all, her approach in this is extremely childish. She acted like a third grader in the method of her attempt to chase them away. Second, she said this is a public place so you need to be off to the side. Why? if it is a public area, he has as much right to be there as she does. He doesnt have to move to the side, nor does she. she is free to move if she wants, and so is he - or to stay where they each are. if something is bothering her, she is welcome to move. He shouldnt impinge on her personal space nor do things that are a disturbance to the public, but he was not doing anything like that. He was doing something she personally didnt like or want to see, so she can move. I have already written about the complaint by Haredi prisoners in jail about the new enforcement of the rules that does not allow them to wear their hats and jackets when they go to the shul for davening. To be more clear perhaps, I do not care if the prison services allows them to wear their hats and jackets or disallows them to do so. My only comments are on the style of the complaints about not being allowed to. If the prison services decides it is not a problem and they can wear it, good by me, and if the prison services decides it is a problem, also good by me. Some further developments in the story made me clarify the above. The prison services representatives went to meet with leading Haredi rabbonim to discuss the issue. According to the report in Behadrei, some interesting arguments were made. 1. Rav Edelshtein supposedly encouraged them to allow the Haredi prisoners to wear the hats and jackets. In addition, Rav Edelshtein encouraged the prison services to deal with ensuring that when the Haredi prisoners finish serving their various sentences they should be able to find employment and work, so that they will not return to their criminal ways. This is important, and it should be a part of whatever rehabilitation program they put the prisoners through. It is important that they be trained to be productive members of society. Interesting, though, that he wants to send them out to work to keep busy and not send them to kollel. And maybe had they been trained originally to be productive members of society with the ability to find gainful and meaningful employment, this would not have happened to many of them in the first place. 2. one prisoner said, "we were judged to be here, but we weren't judged to remove our hats and jackets. what is this Russia?" that's funny. Jail includes a prison uniform. Part of being in jail is wearing the uniform. Nothing to do with Russia. If they give a reprieve for religious reasons, that's fine, but let's not act like going to jail just means being behind bars but you can do whatever you want. Being sentenced to time in jail means you get everything that comes along with that. 3. one prisoner said "there are admorim here and rosh yeshivas here and they learn torah together, so why take away their hats and jackets?" a little tzniyus would be helpful. They are proud of the amazing admorim and rosh yeshivas learning together, rather than being embarrassed and ashamed that admorim and rosh yeshivas are in jail??? 4. one son of a prisoner who became Haredi while in prison said that his father has become makpid on all the chumras and does not skip over a single paragraph of halacha, and is devastated that he cannot wear the hat and jacket as his preparation for approaching God in prayer (as the pasuk says to prepare before approaching God). He feels as though the system is chasing him. I guess he regrets his crimes too, and not just the lack of hat and jacket and in the future will be as makpid about fllowing the law as he is abotu following his newly discovered chumras. He can always prepare in a different way. "Heekon likrat Hashem Elokecha" does not have the definition of hat and jacket. It is defined as prepare yourself. So prepare in a different way. Make a different item of clothing special for prayer. סמוט from חרדים 10 on Vimeo. I do not think that we need to kill people because of this kite. We need to be here, on one hand, very aggressive, and as I said shoot at their legs, at their knees and feet. It isn't easy to live your whole life disabled. What does not endanger anyone's life should have a different status than something that does endanger lives, and you cannot say about this that it endangers lives. Now, I am definitely not defending them. I am the first person to suggest shooting at them, but to injure and not to kill. We are people and they are people and we d not kill just to kill. I think that for a deterrent it is enough to shoot at their legs, and this has not yet been attempted. -- Minister Uri Ariel about the proper response to the "kite terror attacks" of Gazans sending burning kites over the border to cause fires in Israel. This interesting psak is really a current machlokes, according to the article, so it is really a triple interesting psak, as all sides of the argument are interesting..
Donating a kidney to patients in need of one has become a very popular chessed nowadays, especially in the Haredi community (though not limited to the Haredi community). Much of the popularity can be accredited to the work of an organization called Matnat Chaim that promotes and encourages such kidney donations. Obviously, kidney donations must follow the laws for organ donation, no matter what organization it is being arranged through. The question was asked if it is permitted to donate a kidney when the recipient might possibly be a secular Jew. This is often the case as the majority of the time it is an altruistic donation with the donor not knowing the recipient. Ergo, the answer can be very influential on the future of kidney donation in the frum community. The responses are based on the possibility of whether or not the average secular Jew has the status of a tinok shennishba, as per the Chzon Ish's decision. * Rav Gershon Edelstein responded that one is allowed to make an altruistic kidney donation without knowing who the recipient will be, because [most] secular people retain the status of "tinok shenishbu". They are considered as if having been held captive, meaning they never had the opportunity to learn, so their lack of observance is not considered a fault - sort of like a type of annus. Such a person, considered a tinok shenishba, does not obtain the status of a wicked person, even though he or she does not observe the mitzvos and even transgresses prohibitions publicly. Therefore, one could donate a kidney even if it will go to a secular Jew. 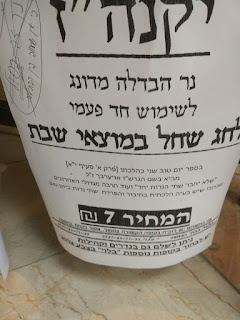 * Rav Yitzchak Zilbershtein responded that one can, and should, donate a kidney even to a secular Jew. Rav Zilbershtein adds that often in such cases we see that a certain bond develops between the donor and the recipient, and when the donor is religious and the recipient is not religious the donation has the ability to have a positive impact and influence on the recipient and bring him closer to Judaism and to fulfilling God's will. * Rav Chaim Kanievsky is the most complex of the respondents. Rav Kanievsky normally follows the Chazon Ish, his uncle. But he also follows his father in law, Rav Elyashiv. And he also would direct many piskei halacha to Rav Shteinman rather than answering himself, until Rav Shteinman's death. While Rav Kanievsky seems to potentially be pulled in three different directions on this. Rav Kanievsky paskens in this case like his father in law Rav Elyashiv, saying that secular Jews nowadays do not have the status of tinok shenishba because even if they never learned Torah and Judaism, the information is readily available to them via the computer (I will comment on this point below) and anybody seeking the truth will find a way to discover it. Therefore, according to Rav Elyashiv, secular Jews today do NOT have the status of tinok shenishba but that of a mumar - someone who intentionally sins against God. Rav Shteinman paskened that secular Jews nowadays do continue to have the status of tinok shenishba. He reasons that there is so much incitement today against religion that no secular Jew can objectively decide he wants to research Judaism and come to the truth. Rav Chaim Kanievsky, paskening like Rav Elyashiv on this matter, therefore says that one should not donate a kidney to an unknown recipient. the debate is very complex and I would add another point that was not mentioned in the opinions brought above. Many secular Jews are even ignorant of the starting point and do not even know to look. They are not necessarily anti-Torah or anti-religion, but they were raised and live lives totally devoid of Jewish halacha and Torah considerations and remain oblivious to it. I am not comfortable with the opinion that they could look for the information if they wanted, thus they are responsible for not having done so, so to speak, because it isnt even on their radar. That's how far removed much of the secular community is. I would add one point of irony in Rav Kanievskky's opinion as quoted. The information about Judaism might be available to the masses easily "on the computer", but Rav Kanievskly himself, supposedly, considers it a serious prohibition and transgression to use the Internet and smartphones and the like. Maybe they are fulfilling a mitzva following his opinion to not use the internet, even for good things! I would add, regarding the point made by Rav Zilbershtein, that it irks me in particular, and I have written about this elsewhere, that anything we do in reklation to the secular community seems to have to have an ulterior motive of kiruv. Why must kidney donation be ok because it might possibly cause the recipient to do teshuva? Why cant it just be to save a life? Why do we invite people over and say hopefully it will cause kiruv - cant we just invite a friend to spend time with the friend or because I love my cousin or sibling? Sure, you can do things for kiruv purposes, but why does it seem to very often be the underlying motive in almost anything done in the frum community with the not-frum community? To illustrate further, just the other day I was in a store. The woman before me in line was talking to the clerk about a wedding she is making for her child and she mentioned her two sisters coming in for the wedding that are not frum. She commented that she hopes they will come in and enjoy the wedding and it will hopefully be the start of them becoming frum. Can't they just be invited and come to the wedding because they are siblings, aunts and uncles and we all want to share our simchas with our beloved families? Must their invitation be for the purpose of kiruv? caveat: as always, do not make a halachic decision based off a brief halachic review article you read on the Internet. If the situation is relevant to you, consult with a competent rabbi on the matter. this is a photo of a brush fire yesterday in RBS that forced residents of nearby streets to be evacuated. The fire destroyed one nursery school and a caravan shul - though the Torahs were saved. now here is a good idea; a proactive and unique solution rather than just complaining..
That picture is from a shul in Elad. The gabbai of this Haredi shul came up with a solution to the global problem of people bringing their cellphones into shul and using them to chat or work or browse and use social media rather than pray and pay attention during lectures. The gabbai spoke to people asking what it would take to get them to stop using their cellphones in shul and after trying other ideas, he came up with this plan - he installed cubbies in the shul, with both locks on each cubby and phone chargers inside each cubby. So now people feel comfortable leaving their phone in a locked cubby and know that it is charging while they are praying or learning rather than draining. According to Behadrei, so far so good. 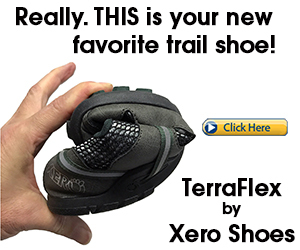 People are actually using them as intended. I guess the test is over time if people will continue to use them or not. Other shuls should probably adopt a similar solution. Even if it does not solve the issue 100%, it looks like it can decrease dramatically the amount of cellphone usage in shul. The article I am going to reference actually leaves me with more questions and little understanding, but I could find no other articles about this to try to find more information, so for now this will have to do and we'll have to keep our eyes out for future developments.. According to Srugim, despite elections not being on the immediate horizon, a new party has already registered for official status for whenever the next elections will take place. The new political party is called "The Bible Bloc" - Hagush HaTanachi. The party has been approved by the official registrar. According to the article this party is described as a Jewish-Christian party, led by Avi Dennis Lipkin. Lipkin is a noted speaker among the evangelical crowd in the United States. Their raison d'etre is to defend all those who believe in the Tanach and also to oppose the ethnic cleansing of Jews and Christians from the Land of Israel. The party will represent all peoples around the world who advocate for the western Judeo-Christian and democratic culture. Just as a note, I was not aware of any such threat of ethnic cleansing of anybody in Israel. The party says they expect to achieve 4 mandates, passing the current minimum threshold. Their target audience is the hundreds of thousands of Christians in Israel and others defined as "no religion" such as many Russian immigrants and western Christians in Israel. Lipkin defines himself as -Jewish Evangelist Zionist" and says his number 2 on the list will be a Christian. As I said, I dont really understand what this party is or what it is representing. Are they promoting Christian values? Jewish values? shared values? Are they missionaries? Jews for J? When they say they are representing people from around the world with certain calues, how does that work? 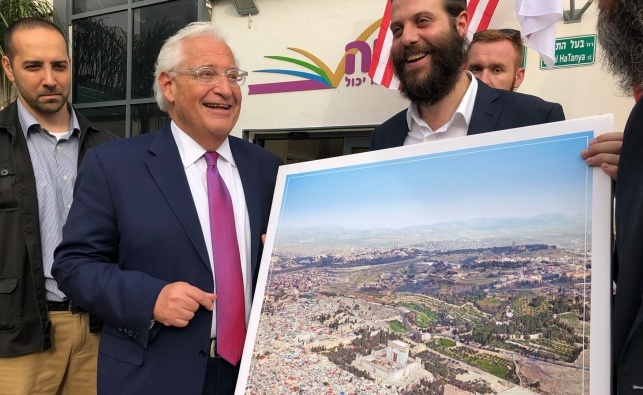 this picture created a bit of a brouhaha with Ambassador Friedman coming under attack as supporting the rmeoval of the Dome of the Rock and rebuilding of the Beis Hamikdash. The organization that presented the picture to Friedman later apologized for causing the stir. The real apology, though. should have been for superimposing the mikdash backwards, i.e. facing the wrong direction. They have the doors of the mikdash facing west rather than east..
Best reaction was that of MK Ahmed Tibi, who was of course critical of the presentation, but in his criticism he said it is a good thing at least that they did not move the embassy to that location! Back in February there was a tacit agreement to allow the soccer/football leagues to continue operating on Shabbos, and the necessary approvals and permits were granted. Despite that, for some reason, the Haredi MKs are now protesting potential chilul shabbos expected to happen this Shabbos as part of the preparations for a Saturday night football match between Israel's National Team and Argentina's National Team. The match will be after Shabbos in Teddy Stadium in Jerusalem but security preparations and security for global star Messi will cause chilul shabbos earlier in the day. The match is part of the lead up to the World Cup games. Haredi MKs are sending their protest letters now and asking Minister Miri Regev to not allow chilul shabbos. 1. I am not sure what they expect to happen. The game is happening, and security needs to be in place. How can they do this without chilul shabbos? Is the protest just lip service? shouldn't they have worked to prevent this when it was initially scheduled? At least with the Eurovision the issue is being raised well in advance rather than at the last moment..
2. Why are they protesting now when they already agreed to allow the soccer leagues to continue on Shabbos? This itself seems even less than the normal shabbos desecration as this will just be final preparations rather than the athletes playing and the fans driving and participating in the event. 3. Again, why are security preparations done on Shabbos afternoon for the soccer match any different than security reparations done on Shabbos afternoon for Lag b'Omer celebrations which the Haredi MKs consider ok and not protest-worthy? Strangely enough, yesterday MK Yehuda Glick (Likud) invited a fellow to the Knesset that has aroused curiosity, to put it mildly. The person Glick invited and hosted was Yaron Attias. Attias has the official status of a gett refuser. The beis din in Haifa has recently declared him as such for refusing to give his wife a gett and has also implored the public to impose social and halachic sanctions on him, specifically to avoid him socially, to not let him into shul or give him aliyah to the torah and the like. Why Glick invited him to the Knesset nobody knows. Many have asked why yet Glick has, so far, refused to explain. Glick has always danced to his own beat and played to his own tunes. He has always been a bit unique and different. I hope he had a really good reason to invite Attias. I hope he was trying to persuade him to give the gett to his wife. I hope he thought he would have some influence on the situation and he brought Attias to the Knesset in order to facilitate that, but I don't know. I dont know why else Glick would bring him to the Knesset and what he might otherwise gain from it, so I am willing to wait for an explanation, giving him the benefit of the doubt in the meantime. Glick is normally unique in a good way, taking positions that seem to be right, even if against popular opinion. It does say that one shoudl take care to be clean from public suspicion, so I hope he explains soon and does not remain suspect of going against the beis din orders and supporting a gett refuser. Haredi websites have posted the request of the 8 new Visznitser rebbes stating that they wish to follow in the ways of their father, the previous Visznitser Rebbe who recently died, and part of that is requesting, demanding, that people not take pictures of them or publish photographs of them. That itself is not funny, but the Haredi sites that I saw that published this item added to the article the pictures of the rebbes. That's what is funny. And maybe a little sad. It is a pleasure to steal from Persians..
a couple of weird inclusions here.. This Motzei Shabbos we will get the rare "Yaknahaz" - the havdala during kiddush, because Motzei Shabbos is also the holiday of Shvuos. Yaknahaz is an acronym for the order of the kiddush in such situations - wine, kiddush, candle, havdala and shehechiyanu. This might be an exciting event for some people, due to the rarity of its occurrence. That is a Yaknahaz candle. 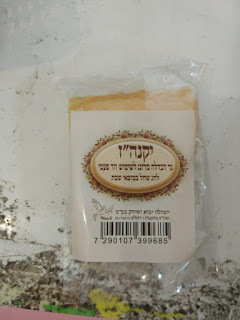 The sign that was next to it says that some poskim have a problem with the putting of two candles next to each other for havdala, as has been done by many for many years, and then separating them (though it doesnt say what the problem is) so this candle is a solution for havdala of Yaknahaz. I am not quite sure how to use it. 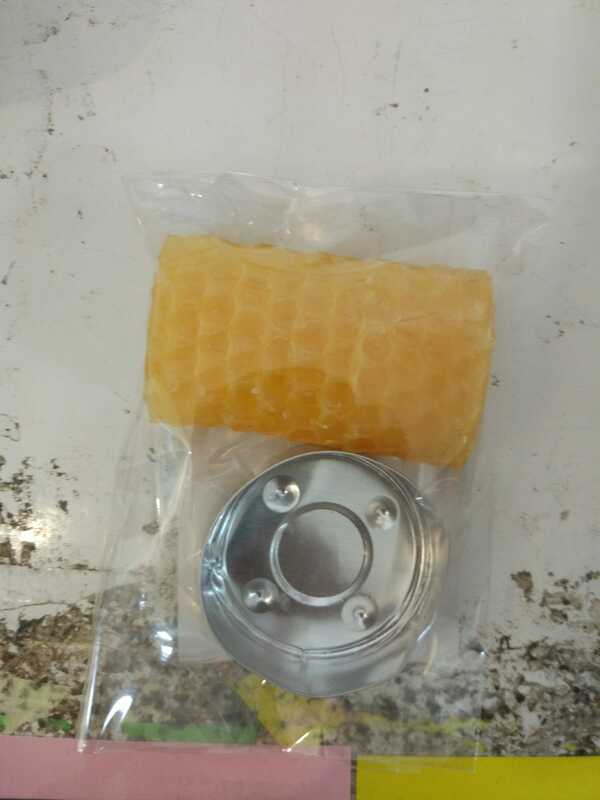 It comes with the foil cup of a tea light. I guess you do the havdala then put the remaining candle in the foil cup and let it burn out. Being that they used a tea light foil holder, the candle is bigger than the holder and it seems kind of dangerous to me - the candle wont fit in well, it might fall out, etc. This makes slightly more sense and seems more reasonable than the bowls of salt water they sell for Pesach, the package of ten pieces of bread for bedikas chametz, the roasted egg for the seder plate, but not by much. Our problem is that all our leaders are crooks and we the residents suffer. Hamas steals, Abbas steals, and we are between a rock and a hard place. We cannot overcome them. They are the rulers and they have everything. We the poor residents are disgruntled, hungry. We think you, the Israelis, are merciful, you have mercy on us, you would help us. If it were Bashar Assad he would kill out the entire city and finish the whole thing. We want to live with the Jews. I have no idea how common this sentiment it, but it is interesting to hear it expressed. I also wonder if the name he gave is fake, as he might very well be killed for saying this publicly. does Hamas pay for fake injuries? There are a number of videos going around from the Hamas conflict on the Gaza border right now in which you can see that dead people start moving when they can no longer lie still and injured people with bandages and crutches start walking and running just fine. Considering the recent publication of the price list that Hamas is using to pay people for injuries and death - $3000 to the family of someone who is killed, $500 for a serious injury, $100 or $200 for various light injuries... I wonder if Hamas is paying the people who act dead and injured as if they really are or do thee guys get stiffed letting the world thinking they are dead and injured but Hamas does not pay for that? 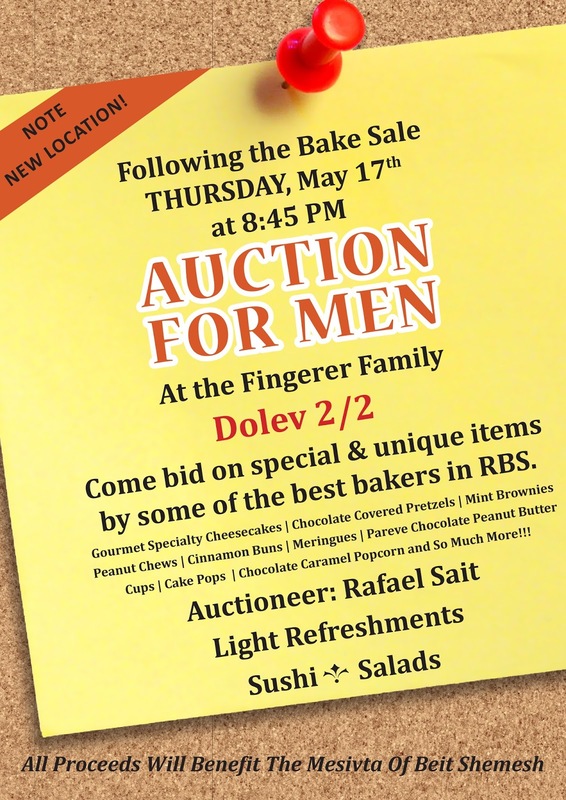 this is a great event, supporting a great local institution.. When I first heard the news report that Turkey has recalled its ambassador to, and expelled Israel's ambassador from, Turkey I thought to myself that how could this happen after Israel apologized for the Marmara incident, along with a $20,000,000 compensation payment? All that went to waste after Hamas decides to attack the border and Turkey does not like the way Israel responded, again? What was the point? Good move, Turkey. Denigrate Israel, making Israel grovel and apologize. Take our money - about 65 million shekels of it. And still keep your diplomatic crisis. The truth is the two incidents are not related. While I did not like the apology and payment from the start, the fact that it happened does not give Israel immunity from harming Turkey's interests in the future and not having to pay the price for such future incidents. This could have been foreseen though, that Turkey would one day get upset again. Regardless, the United States is the world leader. These countries pulling their ambassadors will eventually send them back. It is inevitable. They will not oppose the world leading United States of America for too long at too much cost to themselves. And if not, they will be on the wrong side of history. lol... seems slightly brash and inappropriate but I like that it will surely upset some people.. 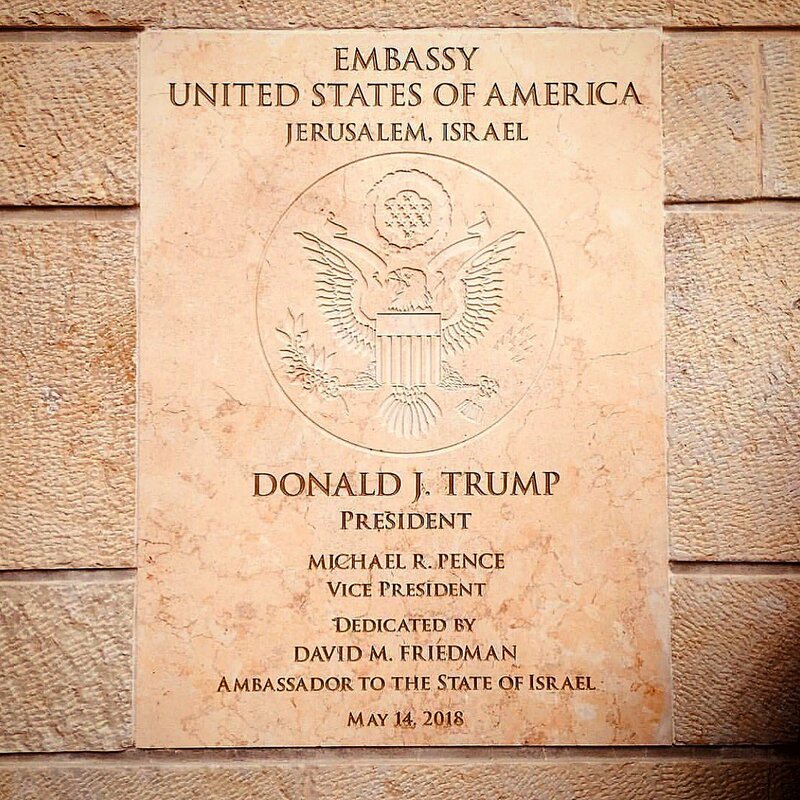 The US Embassy move to Jerusalem was so big it covered up another big move that went barely noticed. That is, the United States ceremony included ", Israel" everywhere in the ceremony, against what has been its longstanding policy until now. Until now the US State Department very vociferously refused to add the , Israel and insisted on leaving Jerusalem naked, with no name of country, as if it were an independent city/state all by itself. 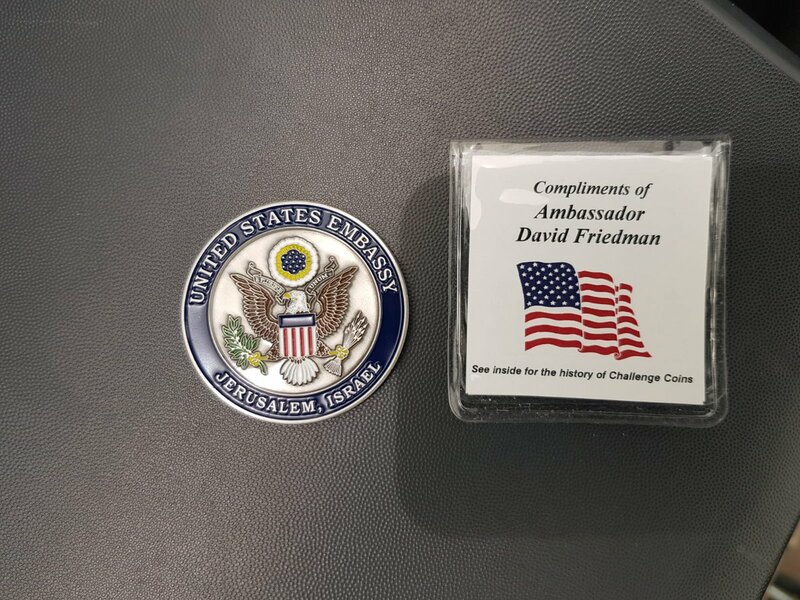 Yet, if you look at the pictures below from the ceremony, Jerusalem, Israel is displayed all over the place and on all the swag and on the wall of the embassy itself. Will the State Department now be changing all its documentation to read Jerusalem, Israel? they did even mention it directly in their Facebook post..
Hamas wants a cease fire? Military affairs reporterAlon Ben David is reporting on the radio that Hamasi s begging the Israeli government for a cease fire but the government is not answering. As I wrote yesterday, the chilul shabbos it could cause will be a big concern, and a source of friction. Should it go on even if it causes massive chilul shabbos or should it be stopped and either sent to a different city or stop Israel from hosting it entirely? I don't know the answer. This isnt a state affair, so it is not really state money going into it, though there might be some. Not everyone is religious and I hate sticking our religious concerns on other people. On the other hand, it is the Jewish state. It is Jerusalem. Should it be moved to Tel Aviv? I dont see the point. It takes it away from Jerusalem, the king's ante-chamber, so to speak, but chilul shabbos in Tel Aviv is also not good, and the religious/haredi community in general does to use that excuse to allow public transportation in Tel Aviv on Shabbos, for example, so why would this be any better than that? Minister Litzman has now shot off the first warning saying the massive chilul shabbos it will cause is unacceptable and they will not allow it and doing so would be a breach in the status quo, etc. While this isn't a holiday, even a quasi holiday, but I do not see why this is any different than when Lag b'Omer comes out on Saturday night. The excuse to not delay given by the Haredi politicians is that there will be no chilul shabbos, as everything is after shabbos and if police choose to be mechalel shabbos during the Shabbos day for the upcoming pikuach nefesh that is on them because they do not have to. We can use the same excuse for the Eurovision. 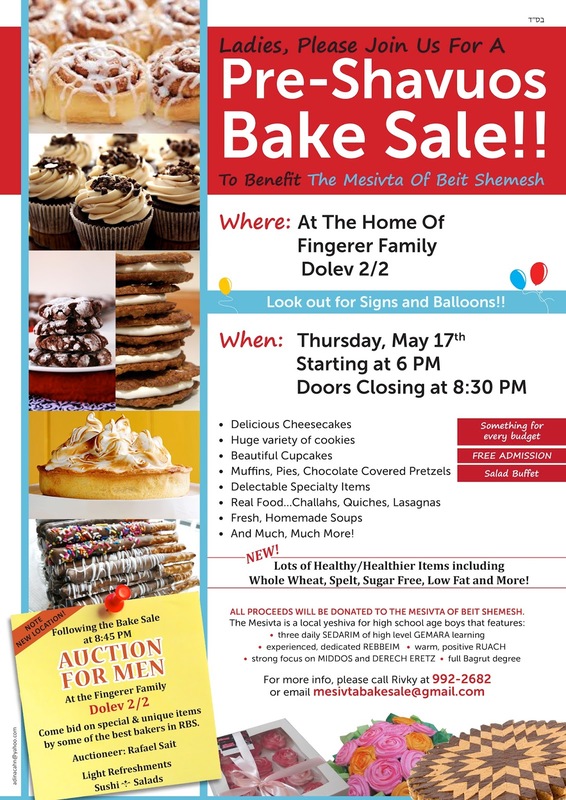 The event is after Shabbos, and if the police need to start securing the area on shabbos it is pikuach nefesh and is on them because they could prepare in advance and after shabbos. One MK from Hamachane Hatzioni responded saying that they only play the shabbos card when it is convenient, as we see they did not protest the recent Giro D'Italia bicycle race that took place on Shabbos. I am not really sure what that MK wanted to say from that. Does the MK want the Haredi MKs to protest more? What was the personal interest of the Haredi MKs in not protesting? what did they get out of it?